A HARARE-based company which was accused by Edgars Stores in Bulawayo of allegedly swindling the retail clothing outlet of more than $40 000 meant to pay for the supply of point of sale printers, has been acquitted of theft. The retail chain had alleged that it paid $43 000 into Nasraq Technologies’ bank account in 2016 and the company failed to deliver the printers which it claimed were being sourced from a company in Korea. It was alleged that Nasraq’s director, Mr Sobusa Dube, sent the clothing retailer a copy of the purchase order purporting that the printers had been bought. Bulawayo magistrate Ms Sithembiso Ncube acquitted Dube and his company of two counts of theft. The ruling by Ms Ncube follows an application for discharge at the close of the State case by Nasraq Technologies through its lawyers Tavenhave and Machingauta Legal Practitioners. The company argued that the State failed to prove a prima facie case. Ms Ncube said the State failed to adduce enough evidence to prove the essential elements of the charge. “The State failed to prove a prima facie case against the accused. The application for discharge is granted and accused persons are found not guilty and acquitted,” ruled Ms Ncube. Prosecuting, Mr Alfonce Makonese had alleged that in 2016 Edgars Stores requested for quotations for the supply of Bixolon point of sale printers and Nasraq Technologies won the tender. Mr Makonese said Edgars chose Nasraq as it had the lowest prices. “The complainant immediately issued Nasraq with a purchase order and Edgars was supposed to deposit half of the total price. The remaining amount was to be paid after delivery,” he said. “On June 21, 2016, Edgars deposited $43 000,80 through Nasraq’s NMB account and the accused assured Edgars that they would deliver the goods by July 30, the same year. On the following day Dube sent a copy of a purchase order saying he had bought the printers from Bixolon Company Limited in Korea. The court heard that Nasraq failed to supply the goods and kept on giving Edgars promises until the matter was reported to the police. 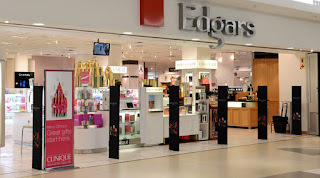 Nasraq Technologies’ lawyers, in their defence, argued that there was no trust agreement between Edgars Stores and their client. The lawyers said the only agreement which existed between the complainant and the accused is one of purchase and supply as opposed to a trust agreement.